Cathy teaches autoharp, beginner to advanced, all ages. She teaches the genres students are most interested in, from Old-Time, Country, Bluegrass, Celtic, Folk, Gospel, to Pop/Rock. The student will need to bring an autoharp, an electronic tuner, tuning wrench, and picks for the lesson. Cathy and the Dusty Strings staff will assist the student in purchasing these things as necessary. The first lesson for the beginner will include holding and tuning the instrument, putting on pics, and developing a steady rhythm, progressing to simple song accompaniment. Cathy will also work on vocal techniques and song interpretation, intonation, and accompaniment if the student wishes. She is expert at helping people over 40 regain a strong singing voice. She offers one-hour individual lessons for adults and older teens, and 30 minute lessons for children and younger teens. Lessons for performance groups are available for one or two hours, concentrating on instrumental and vocal ensemble and song and tune arrangement. Cathy is a multi-instrumentalist and singer who has played as a symphony clarinetist and taught music for 45 years. She has played autoharp for 25 years, taught this instrument for 20 years. She won the International Autoharp Championship in Winfield, KS in 2005, and was elected to the International Autoharp Hall of Fame in 2012. 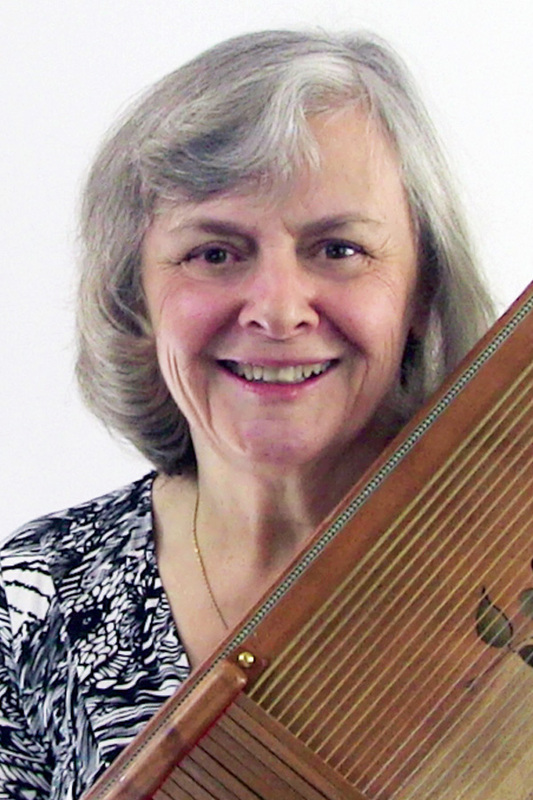 She is a member of a number of performance groups locally, and founded the Seattle Autoharp Week. She also performs and teaches at the Ozark Folk Center, various music festivals around the country, and the Sore Fingers Summer School in England. She authored the popular “It’s An Autoharp” beginner’s book, and has a number of online offerings as well. Her philosophy is simple: HAVE FUN MAKING BEAUTIFUL MUSIC!